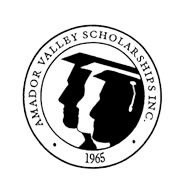 Home Organizations Amador Valley Scholarships, Inc.
Amador Valley Scholarships, Inc. was founded in 1965 by a group of Pleasanton teachers and business people. Their purpose was to raise scholarship money and award scholarships to students in the community who needed financial assistance to enter college. AVSI awards scholarships to qualified students from Amador, Foothill and Village High Schools who plan to enroll in a community college, vocational/technical school or 4 year college. We offer General Amador Valley Scholarships along with serving as administrator for 7 Memorial Scholarships: Frank Damerval Memorial Ernest and Nancy Dohner Memorial Nich Ermak Memorial Don Foreman Memorial Tom and Mary Hart Memorial Jacobson/Wilcox Memorial Skip Mohatt Memorial A Scholarship application can be downloaded from our website. Students only have to fill out one application and they will be consider for all of our scholarships. Scholarship award money is paid directly to the award winner once proof of registration is provided. Students may use the money as they see fit for their continuing education.